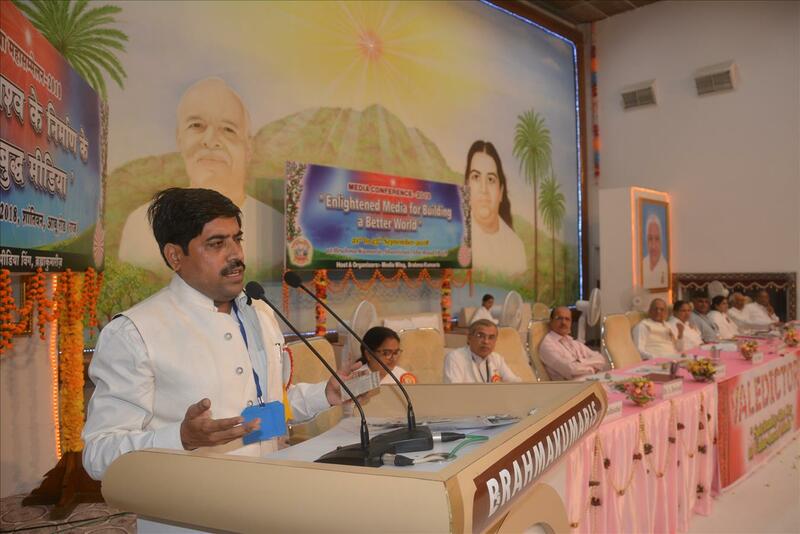 A 3-Day Media Conference on “Enlightened Media for Building a Better World”, jointly organized by the Media Wing of the Rajyoga Education and Research Foundation and Prajapita Brahma Kumaris Ishwariya Vishwa Vidyalaya at the latter’s Shantivan Campus, Abu Road, Rajasthan, concluded with the presentation and adoption of an 8-Point Resolution. More than 1,800 media professionals, academicians and experts representing different kinds and types of mass communication from all over India, Nepal and from 14 countries in Asia and Africa participated in the Conference. In the concluding valedictory session, Dr. Ashish Dwivedi, Director of Ink Media College in Sagar; Mr. Madhukar Dwivedi, Senior Journalist and Editor from Raipur; Mr. Ramesh P. Tanna, Founder of Positive Media Institute in Ahmedabad; BK Atma Prakash, Vice President of the Media Wing and Editor of The World Renewal monthly magazine from the Brahma Kumaris Head Quarters, Mount Abu; BK Supriya, Editor of the Daily eNewspaper from the Brahma Kumaris Head Quarters, Shantivan, and BK Dr. Yudhishtir, Associate Editor of The World Renewal, addressed the well-versed audience. Dr. Ashish Dwivedi said, “First of all, we must have our home clean. Similarly, Journalists must change their Self Mental attitudes to build a Better World”. Mr. Madhukar Dwivedi expressed his feelings thus, “The world bows before One whose Pen might have broken but He never bowed his head before anyone. The Pen which could never be bought at any cost can create a History”. 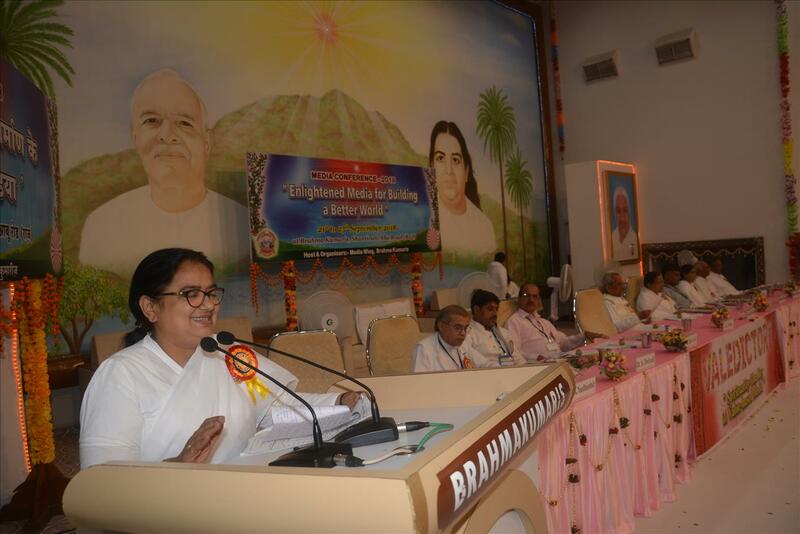 He said, “Brahma Kumaris are, for the last 8 decades, working for the upliftment of Society. Clad in pure white dress they appear to be the incarnated Goddess Saraswati Who is awakening the Spiritual light in society. They are tirelessly inspiring people to live a better life”. 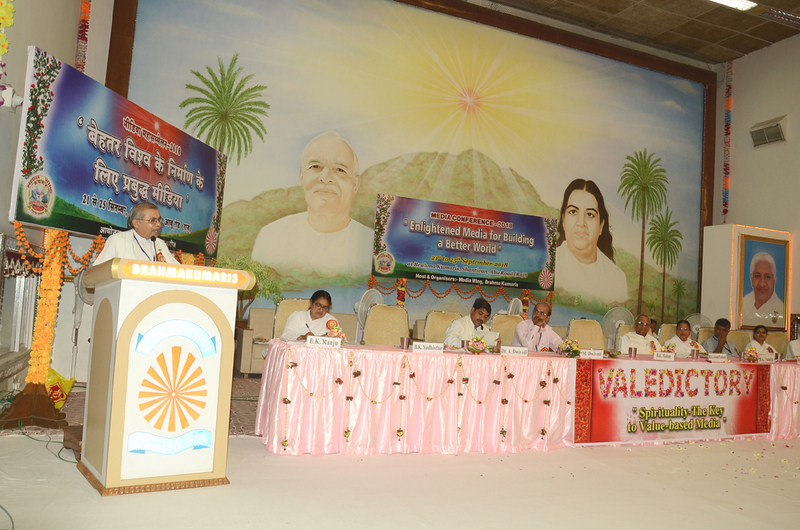 BK Yudhishtir said that spirituality is the only solution for all problems. 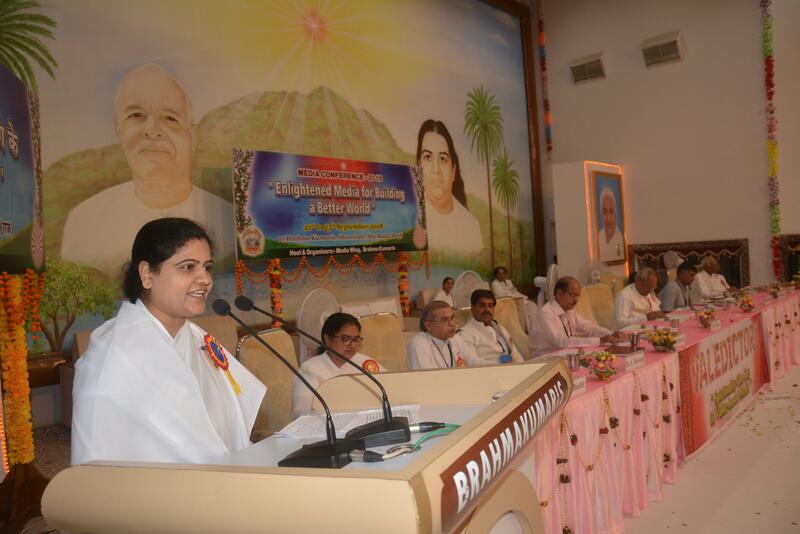 BK Supriya narrating her own experience mentioned, “Raja Yoga meditation has magical powers that emerges out Intrinsic powers and energies.” She then shared details of the BK Daily e-Newspaper being published from Mount Abu. BK Sunita conducted a guided Raja Yoga meditation practically, giving everyone an experience of deep inner peace. BK Narendra, Sub Zonal Co-ordinator from Vadodara, gave full details of the conference. BK Manju, Raja Yoga Teacher from Bilaspur, led the program quite efficiently. BK Karam Chand, Zonal Co-ordinator, Punjab, expressed his gratitude and thanked everyone for their participation. Deliberating through four open sessions, three inter-disciplinary dialogue sessions, two insight sessions, three spiritual wisdom and meditation sessions, along with speaker-audience interaction, the following 8-Point Resolution was unanimously adopted in the Valedictory Session of the Conference. Everyone was of the common opinion that building a better world is possible only by Self transformation, mainly the Media personnel. 1) An Enlightened Media means enlightened journalists who can be powerful instruments for positive change in building a better life and society on the earth. 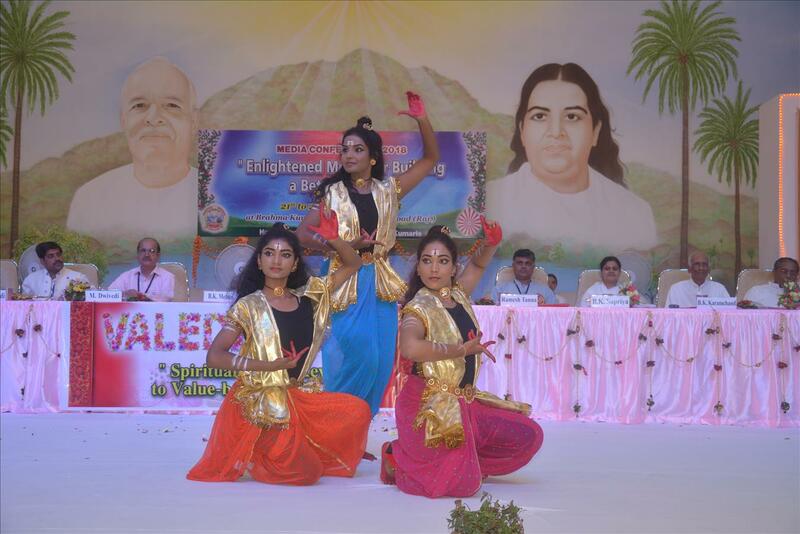 2) An enlightened media which calls for cultivation of innate wisdom, inner powers and core values among journalists, can be possible with the adoption of spiritual knowledge, Rajyoga meditation, and positive and healthy lifestyle in the daily lives of media professionals. 3) An enlightened and spiritually empowered media need to focus more on developmental and societal issues like human rights, education, dignity, fraternity, peace, health, socio-economic equity & justice, environmental cleanliness and ecological harmony. 4) An enlightened media needs to play a proactive role for the elimination of gender discrimination, female feticide, sexual and domestic violence, to restore honor and dignity of the female section of the society. 5) An enlightened media ought to inspire and motivate the self and the public for some degree and measure of self introspection, self analysis, self audit, self regulation, self discipline and self development by putting priority on collective social interest over that of individual self interest. 6) It is incumbent on an enlightened media to practice, promote and spread the culture of value-based media and positive journalism so as to serve the interest of the weak, voiceless, neglected and exploited sections of society and to contain the scourge of political pressures, vested interests and negativity in today’s mass media. 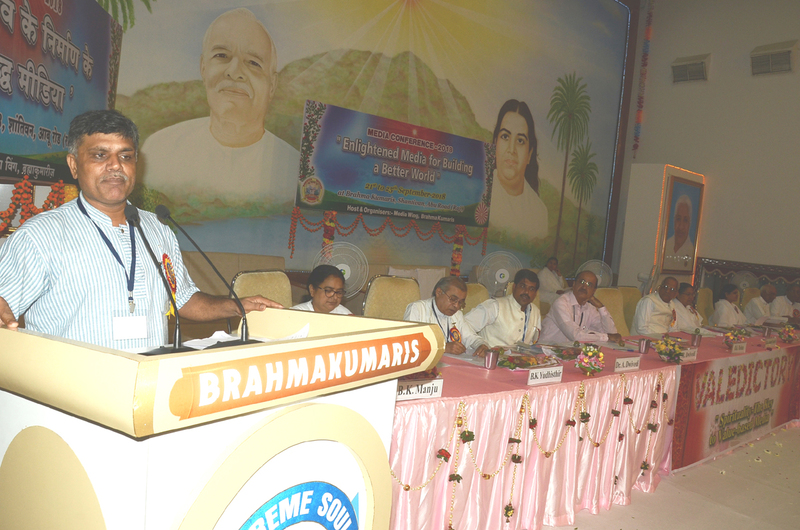 7) An enlightened media need to work in coordination and consonance with like-minded citizens, journalists and organizations like the Brahma Kumaris, the Society of Media Initiative for Values, the Global Forum for Public Relations, etc., to promote moral values, character and ethical conduct among people. 8) An enlightened media with the help of like-mined public and journalistic forums need to organize workshops, seminars, conferences, and start awareness campaigns across the country to sensitize working and aspiring media professionals on the merits and holistic benefits of value-based journalism.